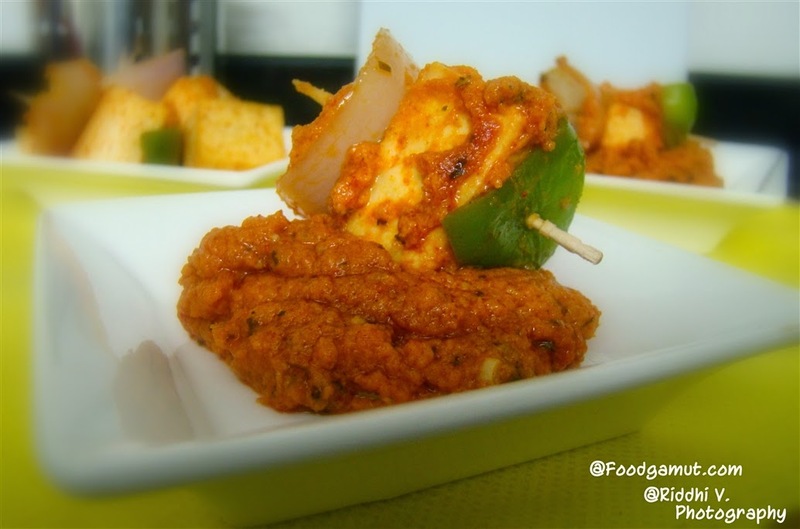 Take one bowl, add paneer cubes, onion and capsicum, 1 teaspoon red chilly powder,salt, mix well. keep aside for 1/2 hour. Heat oil in pan, add onion paste, garlic paste, ginger paste and saute for 3 to 4 minutes or till onion light brown. Add tomato paste and saute for 7 to 9 minutes. Add red chilly powder, gram masala, salt, sugar and mix well. Add cream and cook for 2 minutes. Meanwhile heat butter in another pan and stir fry marinated paneer, capsicum and onion on fast flame. Add kasuri methi into gravy and cook for 1/2 minute. 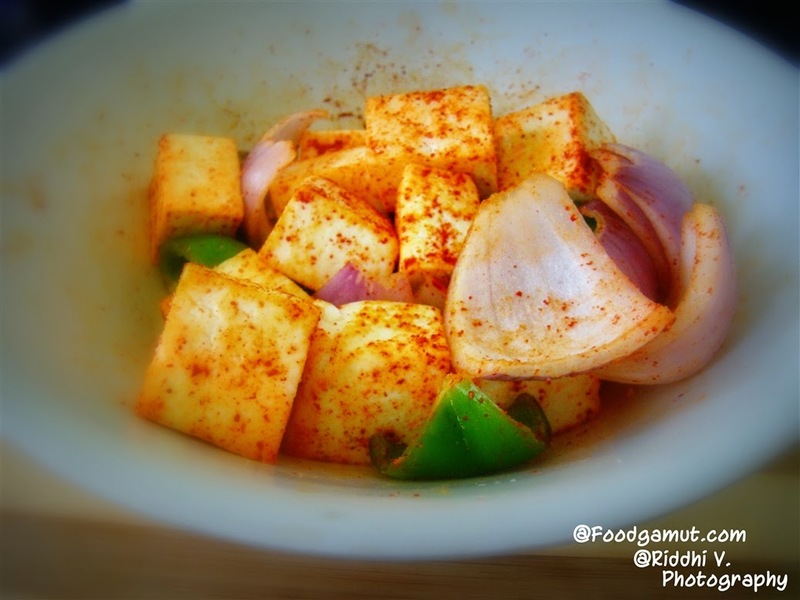 Add stir fried paneer, onion, capsicum into gravy, mix well.